This listing is for the dog collar and bow tie set. 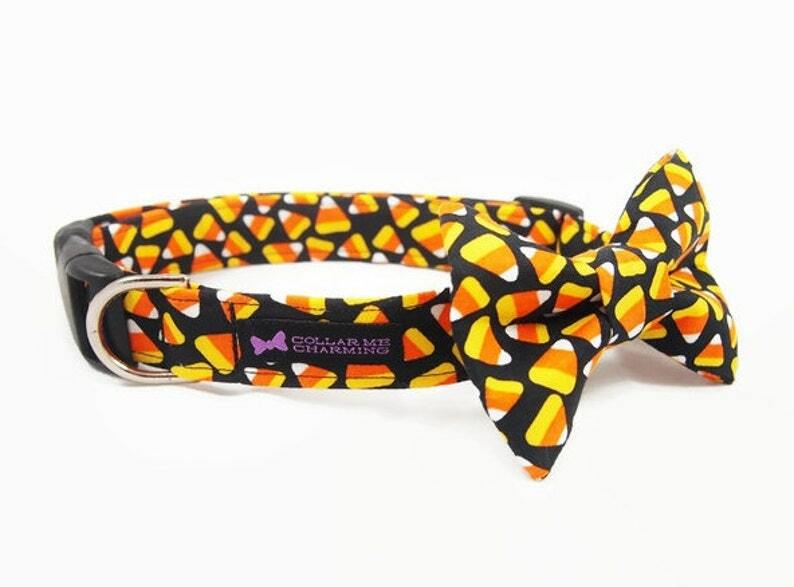 Your pup will spook in style in this Treat Collar Bow Tie set. Perfect for trick or treating! All bow ties are removable and are attached with Velcro and a stretchable strap to keep it in place.